Eyewitnesses have reported Saturday [November 9 2013] that a number of extremist Israeli settlers invaded Palestinian lands west of the central West Bank city of Salfit, bulldozed them and installed a number of mobile homes in an attempt to expand their adjacent Revava illegal settlement. Head of the Deir Estia town council Ayyoub Abu Hijla stated that the lands are located in the western side of the town, and that the settlers are continually trying to expand their illegal settlement. Palestinian researcher Khaled Ma’aly said that Revava is one of 23 illegal Israeli settlements in the Salfit District, and was established on lands that belong to Deir Estia residents in 1991, preventing any expansion of the town. Ma’aly added that the settlers also bulldozed and uprooted more Palestinian lands close to other settlements near Salfit, including lands near the settlements of Leshim, Brokhin and Borkan, and are building new units there. 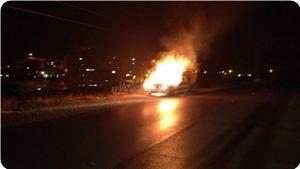 In related news, extremist settlers attacked a number of residents in Burin village, south of Nablus. The settlers invaded areas on the edges of the village, and clashed with local residents. Israeli Soldiers then invaded the village and fired gas bombs causing several residents to suffer the effects of tear gas inhalation. Israeli occupation forces (IOF) clashed with Palestinian citizens in Burin village, near Nablus, on Saturday night after the soldiers entered the northern suburbs of the village. Eyewitnesses said that the clashes extended from the northern areas of the village to its main entrance that is near to Hawara military base. They said that the soldiers chased the protesting youths in nearby groves and fired rubber bullets and teargas at them causing breathing difficulty among citizens in the vicinity of the area. Similar confrontations were reported in downtown Al-Khalil at noon Saturday after young men continued their protest at the IOF cold-blooded murder of Palestinian youth Anas Al-Atrash to the east of occupied Jerusalem at dawn Friday. Local sources said that the young men threw stones at the soldiers and torched tires on the streets of Bab El-Zawiya suburb and near the settlement outpost Tal Al-Rumaida. They said that the soldiers fired live and rubber-coated bullets at the protestors in addition to volleys of teargas canisters. IOF soldiers had earlier at dawn Saturday stormed Arub refugee camp to the north of Al-Khalil and patrolled its various suburbs. Local sources said that the soldiers stationed at the main street while foot patrols were combing its various suburbs, adding that no arrests or raids on homes were reported. 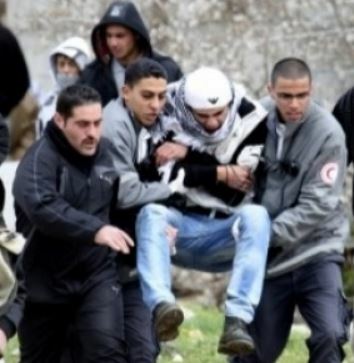 Israeli occupation forces (IOF) brutally suppressed a number of protests in two villages to the east of occupied Jerusalem on Friday night wounding a boy in the head and causing him internal bleeding. 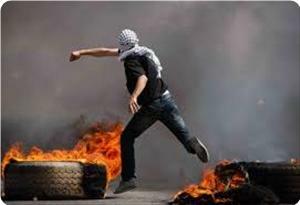 Local sources said that confrontations took place in Alezariye and Abu Dees to the east of occupied Jerusalem after a march for young Jerusalemites against dividing the Aqsa Mosque, in support of prisoners, and in honor of the two young men who were killed by IOF soldiers on Thursday night. They said that the 16-year-old boy Sayyed Afane was hit with a sound bomb in his face causing him internal bleeding and fractures in the skull, adding that a journalist, Rami Allariya, was also injured with a rubber bullet in his foot. 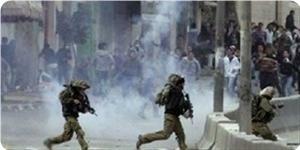 The sources said that the IOF soldiers detained three young men following the confrontations. Israeli occupation forces (IOF) attacked Palestinian young men near Ofer jail, west of Ramallah, on Friday night using teargas and rubber bullets. The PIC reporter said that the young men threw stones at the soldiers, adding that the soldiers used army vehicles that fire dozens of teargas canisters at the same time which led to breathing problems among dozens of protestors. In a related incident, IOF soldiers raided the village of Nilin, also to the west of Ramallah, at a late night hour on Friday and fired teargas and rubber bullets at young men protesting the raid. Similar confrontations were reported in Silwad village to the east of Ramallah following an IOF incursion in which the soldiers used live bullets against inhabitants. Eyewitnesses told the PIC reporter that an IOF force stationed in one of the southern suburbs in the village, adding that dozens of young men headed to the area and torched car tires and rolled them at the soldiers. They said that the soldiers tried to ambush the young men and arrest some of them but they failed. Palestinian medical sources in Hebron, in the southern part of the occupied West Bank have reported that several Palestinians have been injured during clashes with Israeli soldiers following the burial ceremony of a Palestinian killed by army fire on Thursday at night. 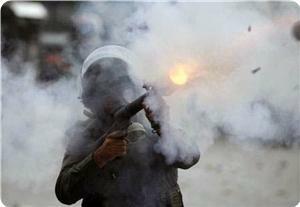 The clashes took place in Bab Az-Zaweya area, in the center of the city. More clashes took place in nearby neighborhoods. 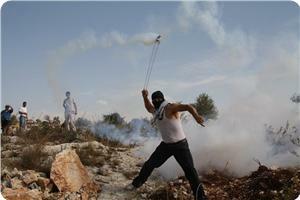 Soldiers fired dozens of gas bombs, rubber-coated metal bullets and concussion grenades leading to several injuries. Local sources said that a number of soldiers occupied rooftops of several homes in Bab Az-Zaweya and used them to fire gas bombs and rubber-coated metal bullets at the Palestinian protesters. All of the wounded Palestinians received treatment by field medics of the Palestinian Red Crescent Society. The clashes took place after the Palestinians in the city held the funeral procession and burial ceremony of Anas Al-Atrash who was killed on Thursday evening at the Container roadblock, northeast of Bethlehem. The Israeli military alleged that al-Atrash “attempted to stab a soldier at the roadblock” before soldiers noticed him and shot him dead. 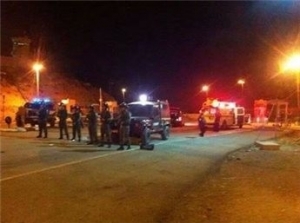 On Thursday evening, soldiers stationed at the Za’tara roadblock, south of the northern West Bank city of Nablus, shot and killed a Palestinian, after alleging he tried to attack soldiers in the area using a fireworks gun. Eyewitnesses said that the body of the Palestinian, Bashir Same Hananeen, 28, from Marka village near the northern West Bank city of Jenin, was seen lying next to the roadblock. The army alleged he tried to attack soldiers in the area using a fireworks gun. The soldiers prevented the Palestinians from approaching, and closed the roadblock, forcing the residents to seek alternate routes. His family strongly denounced his death, and said that the Israeli claims he carried the fireworks gun are just lies and manipulation of the truth, adding that Hananeen is a college teacher, "was executed in cold blood." Violent clashes have erupted at late hours Wednesday between Palestinian youths and Israeli military forces east of Ramallah in occupied West Bank, local sources said. Eyewitnesses confirmed that military vehicles have stormed at late hours of last night, the main entrance to Silwad town east of Ramallah, amid heavy gunfire. 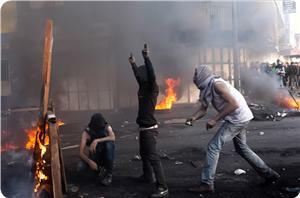 Clashes have erupted following Israeli break-in, without reporting any injuries among Palestinians. The sources added that Israeli break-ins into Silwad town have escalated recently as part of Israeli military training within Palestinian villages. The Israeli occupation forces (IOF) raided on Thursday afternoon the north of the Gaza Strip, where they opened fire at the farmers and razed Palestinian lands. An eyewitness told Quds Press that a number of Israeli military vehicles, accompanied by bulldozers, penetrated on Thursday afternoon in the east of the town of Jabaliya in the north of Gaza. 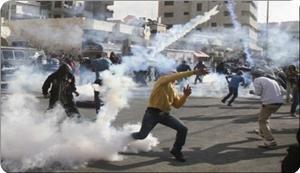 He added that the occupation vehicles raided Abu Samra farm and opened fire at the farmers. No injuries were reported. 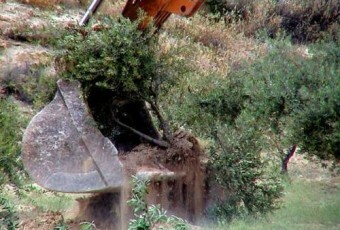 The Israeli bulldozers then began bulldozing the lands, forcing the farmers to leave the place. 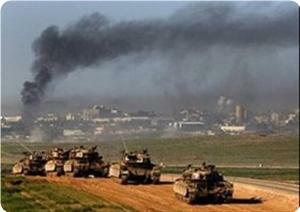 The IOF had earlier raided the citizens' lands in the south of Gaza and fired shots at fishermen at sea. This incursion is to be added to the series of the Israeli continued violations of the truce agreement that was signed on the 21 November 2012 between the Palestinian resistance and the occupation under Egyptian auspices. 11 Palestinians have been killed since then, while dozens have been arrested or wounded by IOF gunfire. The Israeli forces have also arrested and wounded nearly 50 fishermen and blew and confiscated a number of fishing boats in the Gaza Sea. Friday at dawn Israeli soldiers invaded various parts of the occupied West Bank, broke into and violently searched homes, and kidnapped five Palestinians. Local sources have reported that the army broke into the home of Zoheir Abu Meizer, in the southern West Bank city of Hebron, and kidnapped his sons Majed and Dia’. The soldiers violently searched the home causing property damage. 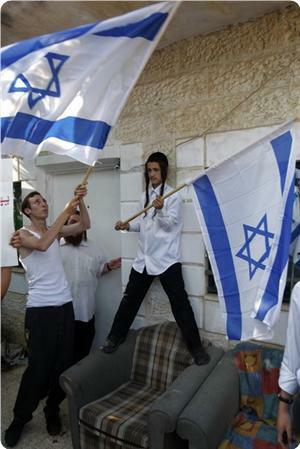 Soldiers also violently attacked the two in front of their family, and searched the property for more than two hours. Soldiers also invaded Beit Ummar town, near Hebron, broke into and searched several homes, and kidnapped two Palestinians. 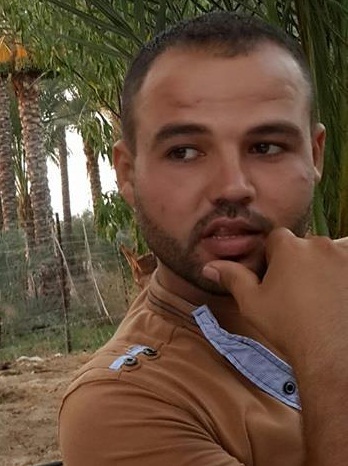 Coordinator of the Popular Committee against the Wall and Settlements in Beit Ummar Mohammad Awad, said that the soldiers kidnapped Soheib Sa’dy Abu Maria, 24, after violently searched his home causing excessive property damage. 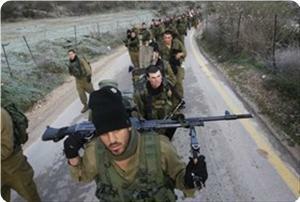 The soldiers cuffed Abu Maria and took him, on foot, to the nearby illegal settlement of Karmie Tzur. Awad further stated that the soldiers also invaded several homes and searched them. Furthermore, dozens of soldiers invaded Kufur Dan village, west of the northern West Bank city of Jenin, and kidnapped Nidal Ahmad Salah, 30. Salah is a former political prisoner who spent seven years in Israeli prisons. He was moved to an unknown destination. Palestinian medical sources have reported, on Thursday at night [November 7, 2013], that Israeli soldiers shot and killed two Palestinians at two roadblocks near the West Bank city of Bethlehem, and the northern West Bank city of Nablus. The sources said that resident Anas Fuad al-Atrash, 23 years of age, was shot and killed by Israeli military fire at the Container Roadblock, northeast of the West Bank city of Bethlehem. The army withheld his body, and moved it an israeli forensic facility, and handed it to Palestinian Red Crescent ambulance on Friday at dawn. Soldiers prevented the Palestinians from approaching, and closed the roadblock, forcing the residents to seek alternate routes. His family strongly denounced his death, and said that the Israeli claims he carried the fireworks gun are just lies and manipulation of the truth, adding that Hananeen is a college teacher, "executed in cold blood." Earlier on Thursday, soldiers invaded various districts in the occupied West Bank, and kidnapped at least seven Palestinians before taking them to a number of interrogation facilities. Later in the day, Israeli officers kidnapped Mohammad Abu Khdeir, at the Ben Gurion Airport in Tel Aviv as he was flying back from Egypt. An Israeli court ordered him under interrogation until November 13, and prevented him from seeing his lawyer. His family said he works for the Jerusalem daily newspaper and that the soldiers broke into their home and violently searched it. A number of Israeli tanks and bulldozers carried out on Thursday a limited incursion into east of Khan Younis in the southern Gaza Strip. Security sources said Israeli military vehicles stationed in the previous settlement "Kissufim" opened fire at citizens houses, no injuries reported. Meanwhile, Israeli navy gunboats opened Thursday at dawn a heavy machine gunfire at Palestinian fishing boats off the coast of Gaza . The gunboats targeted directly and intensively the fishing boats in the allowed fishing area, while Apache helicopters flew over Gaza sea. Israeli occupation forces (IOF) raided southern Gaza Strip areas on Thursday morning and fired at farmers forcing them to abandon working in their fields. A field observer told Quds Press that IOF soldiers advanced to the east of Qarara town, to the north east of Khan Younis, and bulldozed land while opening intensive fire at farmers. He said that soldiers in military watchtowers also opened machinegun fire at Palestinian houses in the same area. Meanwhile, Israeli gunboats opened fire at Palestinian fishing boats along the coasts of Gaza and blocked fishermen from fishing, fishermen said. 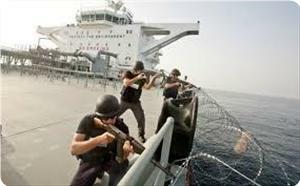 The incidents posed as another breach of the calm agreement reached under Egyptian patronage almost a year ago. Yediot Aharonot newspaper reported that the Israeli army is preparing to conduct a large-scale military drill in the city of Ashkelon at the end of November, simulating Gaza seizure. It pointed out that thousands of soldiers, jeeps, and military vehicles will soon flood Ashkelon to participate in unprecedented training exercise of Gaza seizure. The paper quoted military sources as saying that the army chose Ashkelon after searching for a city that has similar features to Gaza and reaching the conclusion that Ashkelon was the closest fit; like Gaza, the city lies near the beach and has many old neighborhoods. It said the preparations for the large-scale military drill are being handled in the "Gaza Division", created for the purpose of controlling the Gaza Strip after the breakout of the first Intifada in 1987. Israeli Occupation Forces (IOF) arrested at dawn Thursday seven Palestinians in different parts of occupied West Bank under the pretext of being wanted. Two Palestinians, from Nablus, were arrested including a liberated prisoner who spent 4 years in Israeli jails. Four other Palestinians from Aroub and Fawar refugee camps in al-Khalil were detained. Coordinator of the Popular Committee Against the settlements in Beit Ummar confirmed that Israeli forces stormed the town and arrested the liberated prisoner Yusuf Ahmed Abu Hashem, 22, after violently raided his house and assaulted his family members. IOF have also summoned his father and his two brothers for interrogation. 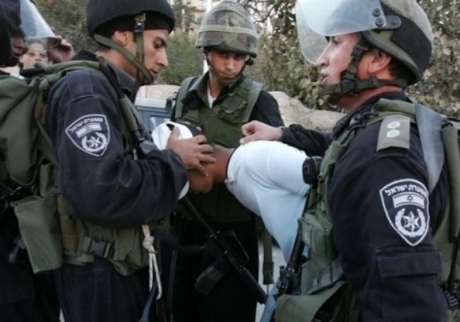 Three other Palestinians from Beit Ummar were also summoned for interrogation. Meanwhile, violent clashes erupted following Israeli raid of the town, where Israeli forces fired rubber bullets and tear gas bombs towards Palestinian houses, led to suffocation cases among residents. Violent confrontations erupted in Silwad village, east of Ramallah, after Israeli occupation forces (IOF) invaded the town in big numbers on Wednesday. Eyewitnesses told the PIC reporter that IOF soldiers in armored vehicles and on foot occupied the main entrance to the village and fired at young men protesting the raid. They said that the soldiers were nervous and used live ammo in firing at the youths but no casualties were reported. IOF soldiers have been storming the town every morning for the past few days endangering the lives of citizens. 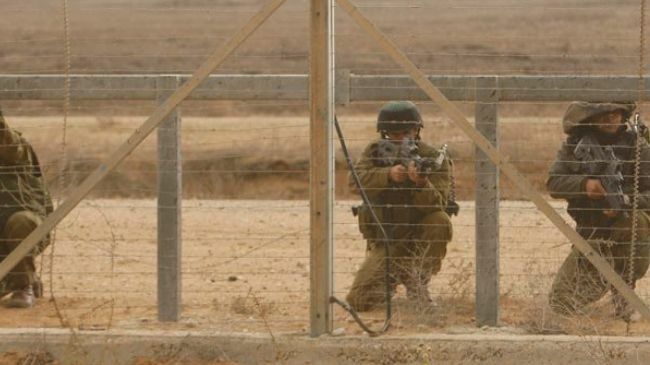 Citizens believe that the repeated storming over the past few days was part of training for new soldiers, recalling that the IOF had announced the launch of field training inside and in the vicinity of villages till next Friday. Inhabitants called for ending those maneuvers out of fear for the lives of their children who go to UNRWA schools near the areas where confrontations usually take place. Israeli occupation forces (IOF) fired live ammunition at young men in Deir Al-Ghusoon village near Tulkarem after storming it on Wednesday night. Eyewitnesses said that the soldiers, who invaded the village in big numbers, fired live ammo in addition to teargas and sound bomb at the young protestors. They said that intelligence officers accompanying the soldiers tried to talk about living conditions with inhabitants, noting that the soldiers evacuated the village after the night prayers and headed to nearby Bala’a village on a similar raid. Israeli occupation forces (IOF) nabbed two Palestinians in Arub refugee camp to the north of Al-Khalil on Wednesday amidst violent confrontations. Eyewitnesses said that IOF soldiers raided the camp and searched many houses before arresting Shamekh Al-Teeti and Ahmed Abu Sil. They said that violent clashes were reported in various alleys in the camp and many citizens were treated for breathing problems. The witnesses said that IOF soldiers were deployed at the entrance to the camp and in its vicinity since the early dawn hours and combed nearby areas. 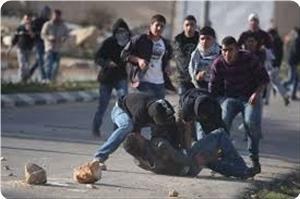 Palestinian medical sources have reported that several residents have been injured on Wednesday evening [November 6, 2013] during clashes with Israeli soldiers at the entrance of the Al-Arroub refugee camp, in Hebron, in the southern part of the West Bank. The sources said that dozens of residents suffered the effects of tear gas inhalation, especially after the soldiers fired gas bombs at several homes during clashes that took place between the invading soldiers and local youths who hurled stones and empty bottles at them. Local sources said that the soldiers also fired rounds of live ammunition and concussion grenades. All wounded residents received treatment by field medics. Israeli occupation forces (IOF) raided on Wednesday east of the town of Johr Dik in the southeast of Gaza City. A field observer told Quds Press that several Israeli military vehicles, accompanied by bulldozers, stormed on Wednesday the eastern parts of the town of Johr Dik and began razing the citizens lands, while IOF warplanes were intensely flying in the skies of the border region. This raid is to be added to the series of Israeli continued violations of the truce which was signed on November last year between the Palestinian resistance and the occupation under Egyptian auspices. Since then, 11 Palestinians have been killed while dozens were arrested and wounded by IOF gunfire. Israeli forces arrested and wounded nearly 50 fishermen, and bombed and seized a number of fishing boats in the Gaza sea. 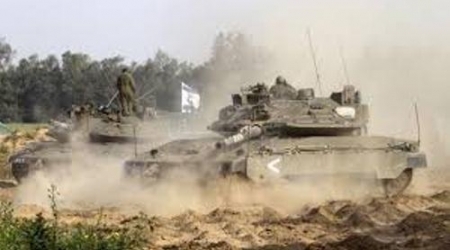 Several Israeli occupation bulldozers, backed by military vehicles, carried out a limited incursion east of al-Zaytoun quarter and Juhr al-Dik village to the south-east of Gaza City, local media said. Watchtowers stationed east of Rafah in southern Gaza Strip opened fire at houses and agricultural lands of citizens; no injuries have been reported. Safa News Agency quoted eyewitnesses as saying "four Israeli bulldozers moved Wednesday at 6:00 AM from 'Eagle Gate' in a limited way into east Zeitoun area east of Gaza City, and began leveling and combing farms just 200 meters from the border fence,"
The bulldozers have entered the territory with the support of four artillery vehicles, and intense flying of reconnaissance aircraft at low levels, Safa said, adding that "the vehicles have dug expansively reaching the eastern tip of Juhr al-Dik village in the south of the city,"
In Rafah city, the military towers located near the so-called Military Sofa Site east of Rafah intermittently fired at Palestinian houses and agricultural property during the early morning hours, according to Safa correspondent. He pointed out that Israeli warplanes flew on a heavy scale at night and threw light bombs at the east of Khan Younis city in southern Gaza Strip, specifically at where medical personnel and local civil defense are conduction search operations for the remains of two al-Qassam Brigades resistance members killed Friday at dawn. The Arab Organisation for Human Rights in UK (AOHR) revealed that Seagull Maritime Security Company that operates in areas like the Red Sea, the Gulf of Aden and the Indian Ocean is run by Israeli former officers who worked in Israeli Navy and special units. The AOHR reported that the company which was established in 2008 recruits its personnel from veterans of the Israel navy including Eli Marom, commander of the Israeli navy between 2007 and 2011. He orchestrated the attack against the Gaza Flotilla in May 2010 during which 9 Turkish citizens were killed and scores of international activists who were on their way to Gaza were injured or detained. Marom also took part in Operation Cast Lead against Gaza in December 2008. Former director of Israel’s secret service (the Shabak) from 1996-2000, Ami Ayalon, heads a team of consultants in addition to the CEO Kfir Magen (a former commanding officer in the Israeli army), Yaniv Perelshtain (head operations in the company), Yuval Brenner and others. According to the AOHR, the company has five offices: its headquarters in occupied Palestine and other offices in Malta, Cyprus, Greece and the Ukraine but the company also operates from several Arab countries through special licenses granted from the governments of the UAE (Al-Fujaira), Egypt (Suez Canal), several points in the Red Sea, Oman (Salala and Muscat) and Jordan (Aqaba). The company is one of very few whose security personnel are permitted to disembark fully armed on the Egyptian-administered Island of Tiran. The AOHR confirmed that Marom, Ayalon and other army veterans working in the company had committed war crimes during their years of service in the Israeli army ranging from murder to the torture of Palestinians and foreigners sympathetic to their cause. The organization further revealed that this was not the only company managed by army veterans which operates in the region, thus posing a great threat to national security. According to the report, there are several Israeli companies from various fields currently running operating in the Arab world and other countries. Mohamed Jamil, head of the AOHR, pointed out that many retired army officers worked in the private sector for a while before returning to occupy influential and sensitive posts in the army or security services. 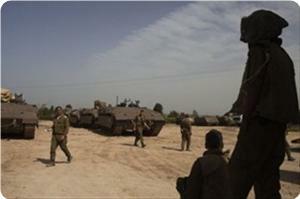 Israel is set to hold a military exercise to train soldiers on how to invade the Gaza Strip, a report says. According to the report published by the Israeli newspaper Yedioth Ahronoth on Tuesday, Israel is preparing to stage the drill in the southern Israeli city of Asqalan. Settlers in the Israeli city have reportedly staged a massive protest as the city has been likened to the Gaza Strip for the purpose of the exercise. Thousands of Israeli soldiers and artillery pieces are planned to be used in the war game. Israel waged a 22-day war on the densely-populated Palestinian enclave in 2008, which left more than 1,400 Palestinians, including at least 300 children, dead. It also inflicted over USD 1.6 billion in damage on the territory's economy. In late October an Israeli unmanned aerial vehicle fired a missile into the north of the coastal enclave. The Israeli military frequently bombs the Gaza Strip, saying the attacks are being conducted for what the Israelis call ‘defensive purposes.’ However, disproportionate force is always used, in violation of international law, and civilians are often killed or injured. Gaza has been blockaded since 2007, causing a decline in the standard of living, unprecedented levels of unemployment, and unrelenting poverty. According to the figures released by the United Nations Development Programme, unemployment rates in Gaza remain high, as some 80 percent of the population received humanitarian assistance in the absence of socio-economic development in 2012. A Jerusalemite boy was hit with a rubber-coated bullet in the head in confrontations with Israeli occupation forces (IOF) to the north west of occupied Jerusalem on Tuesday night. Ahmed Beitawi, the director of Palestine medical center in Ramallah city, said that the boy Yousef Mahmoud Taha with hit with a rubber bullet in the head in Qatana village. He said that Taha was in critical condition and underwent an urgent surgery, adding that his condition was serious because the bullet penetrated his skull. IOF soldiers fired rubber bullets and teargas canisters at young men in the village during violent confrontations last night that took place near the IOF barrier in the village. Palestinian medical sources have reported that a Palestinian child was seriously injured by Israeli army fire in Qotna village, northwest of occupied East Jerusalem. Chief of the Palestine Medical Center in Ramallah Dr. Ahmad Al-Beetawy said that the child Mahmoud Tawfiq Taha, 13 years of age, was moved to the center in a serious condition after a rubber-coated metal bullet, fired by a soldier, fractured his skull causing brain hemorrhaging. Taha was admitted to surgery before he was moved to the Intensive Care Unit due to the seriousness of his condition. The child was just walking near the Annexation Wall separating Qotna from occupied Jerusalem. A civilian car rushed him to the Medical Center.